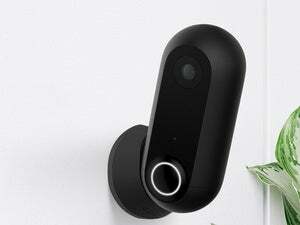 On July 22 2013, the folks at Canary launched a crowd-funding campaign to raise $100,000 to develop a home-security system that just about any household could afford. At the completion of their 34-day campaign, more than 7,000 backers had flooded the company with nearly $2 million in cash. Canary began shipping finished product to those backers in late October, 2014. Today, it’s embarking on what the company says is one of the largest retail releases of a crowd-funded product, with four major retail partners: Amazon, Best Buy, Home Depot, and Verizon Wireless. As Canary co-founder Adam Sager told me at the kick-off of Canary’s crowd-funding effort in 2013: “The [home-security] market is dominated by the major installers with expensive, complicated solutions on the one hand, and by DIY systems which for the most part are pared-down products from the major installers on the other.” Canary, he said, would be as effective as those expensive custom-installed systems at a fraction of the price. If you’d been an early backer, the device would have cost $199. The retail price announced today still sounds like a remarkable value at $249. I say “sounds like” because we’ve yet to get our hands on a review unit that we can evaluate. That’s coming soon, according to Sager. 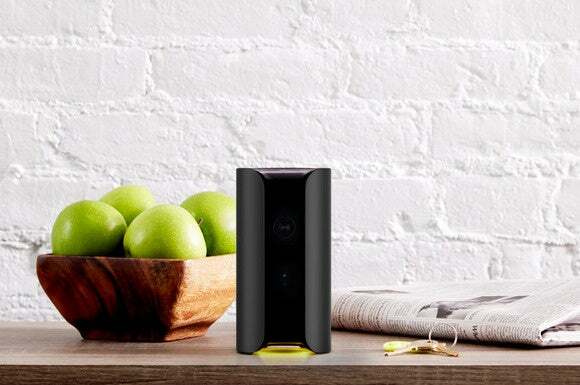 Canary is loaded with sensors and a siren to help frighten intruders. Most home-security systems—including the one in my own home—depend on a raft of sensors on doors and windows, and motion detectors that are mounted in common areas. These are supplemented with discrete smoke and CO detectors, and everything communicates with a central control panel that’s connected to your Wi-Fi network, backed up by a battery and a GSM module in case of a power failure. Security cameras, and the cloud storage needed to make them useful, are typically a pricey option. The reason Canary is so inexpensive is that it’s an all-in-one, self-contained unit. The cylindrical enclosure houses a smoke and heat detector, a high-definition microphone, a motion sensor, an accelerometer, a security camera with night vision, a capacitive touch sensor, an air-quality monitor that can detect both carbon-monoxide and volatile organic chemicals, a humidity sensor, a 110dB siren, Bluetooth, and a Wi-Fi client adapter. The Canary doesn’t include a battery backup or a GSM module, so if a burglar cuts your power, the service that connects your home to the Internet, or both, you won’t be alerted to a break-in. The device doesn’t include any hooks to lighting controls or other connected-home systems either, so you won’t be able to arm or disarm the system when you lock your smart door locks, or have the lights turn on if the motion sensor detects an intruder’s presence when your home should be unoccupied. 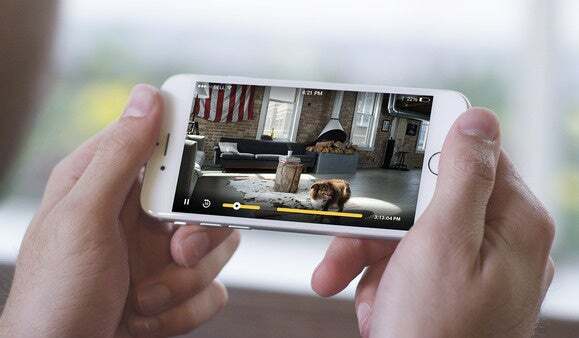 Canary has developed apps for both Android and iOS smartphones. A Canary purchase could, over time, pay for itself through discounts on your homeowner’s or renter’s insurance—provided you buy your insurance from State Farm. Even then the discount is relatively modest—a maximum of 7 percent, according to a Canary press release—and qualifying for the maximum discount requires signing up for an optional service plan. Canary has rolled out three service tiers on that front: You’ll get 7 days of cloud storage for up to 50 video clips with the least-expensive $9-per-month plan, but that doesn’t include call-center monitoring. The Advanced Security package adds call-center monitoring and 30 days of cloud storage for up to 100 video clips at a cost of $19 per month. The Deluxe Package also includes call-center monitoring, and it increases your video storage to 90 days for up to 250 clips. It costs $39 per month. There are no long-term contracts associated with any of the three plans. If you live in a larger home, you can deploy up to four Canary’s. You’ll pay an additional service fee for each if you elect for the service plans, but you’ll qualify for a 50 percent discount on the service plan for each additional Canary. I still think the Canary will deliver a very impressive price/performance ratio, especially for a smaller home or apartment. And that should go double if you’re looking for a home-security system you can take with you when you move. I can’t wait to get my hands on one for a thorough review.